By the end of Germany's ‘National Decade against Cancer’, cancers will be better controlled. Cancer patients will have much longer survival rates with a good quality of life. The goal of a cure is achieved in increasing numbers of cases. Given the large number of orphan diseases and because of the huge medical need for new therapeutic options especially for people with rare diseases, there is still a very great deal of work to be done in this area. vfa and vfa bio are strongly committed to rigorously promoting the development of new therapies for orphan diseases throughout the value chain. Falsified medicines represent a risk for the user even if there have only been individual cases of smuggling into regular pharmaceutical distribution so far. The distribution system is already being protected by a number of measures against falsified products. However, to provide an even better level of protection against this risk in the legal supply chain, an IT-based verification system is currently being implemented across the EU in which prescription medicines need to be checked for authenticity again, directly before the handover to the patient. The German part of this system is being set up by securPharm e.V., an alliance of associations in the pharmaceutical industry (vfa, BPI, BAH), pharmaceutical wholesalers (PHAGRO) and pharmacists (ABDA). 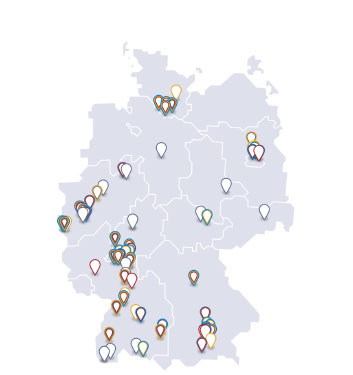 Nineteen out of forty-two member companies of the German Association of Research-Based Pharmaceutical Companies (vfa) are currently running laboratories to research active ingredients or galenics in Germany. Every year they spend around 5.5 billion euros on research and development (R&D) in Germany alone, equaling a daily spending rate of 15 million euros. This shows that for internationally active pharmaceutical companies Germany is one of the leading research locations. By international comparison, Germany holds a strong position in the field of nanotechnology, a cross-sectional technology, implemented in many different fields. Nanobiotechnology, or the application in areas of medicine, pharmacy and life sciences to be precise, has the potential of opening up new or improved/earlier diagnostic or therapeutic opportunities for diseases that were previously insufficiently curable or completely incurable. vfa/vfa bio Position Paper "Biopharmaceuticals – Original Products and Biosimilars"
In the EU, a disease is called “rare” if no more than 5 out of 10,000 EU citizens (in other words: one out of 2,000 EU citizens) suffer from it. Nevertheless, it is not infrequent to come across a patient who suffers from one or another rare disease; the organization “Eurodis – Rare Diseases Europe“ estimates that 6 to 7 percent of the EU population are affected, pointing out that it is not just the patients themselves who suffer but also their families and friends. The digital transformation in culture, society and business is more than technological progress. It is a fundamental transformation process - even for our health system. It offers opportunities but also challenges. Yet, it can become a success story through cooperation, an open attitude towards innovation and political support. Erstmals sind Empfehlungen zur Vertragsgestaltung bei klinischen Prüfungen veröffentlicht worden. Sie sind als Orientierung und Ausgangspunkt für konkrete Vertragsverhandlungen zwischen allen an einer Studiendurchführung beteiligten Institutionen gedacht. The German Bundestag is implementing a number of pharmaceutical policy changes within the scope of the 14th law amending Book V of the German Social Code. When the legislature created the Act on the Restructuring of the Pharmaceutical Market (AMNOG), it has established a process that is as complex as it is complicated, and in some places it is questionable from a methodological standpoint. To facilitate an easier categorization of individual aspects of the procedure, we have developed an interactive information graphic in cooperation with ÄrzteZeitung that illustrates the process of the early benefit assessment, including the parties involved and the resulting problems and conflicts. Ways to achieve health care savings are currently being discussed. Governmental policy and the health insurancers plan to create these savings primarily by way of prescription drugs. Legislative decisions should be based on facts. Here are some facts regarding prices and spending on medicines in Germany. Europe is in the lead when it comes to vaccines: This area covers two-thirds of industrial research and development activities, 60 percent of the employees and even 90 percent of worldwide production. A total of 84 percent of the European production is exported, half of it for humanitarian projects in developing countries.